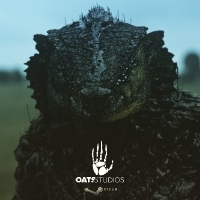 The first film from Oats Studios, Rakka, is now available for streaming on YouTube and Steam. The ambitious film depicts the aftermath of an alien invasion in the year 202 0 where aliens have enslaved humanity and altered the Earth’s atmosphere. The film features Sigourney Weaver as a fighter in the resistance. It's worth noting that she was attached to Blomkamp's Aliens sequel that will likely never see the light of day now that Ridley Scott is back at the helm of the franchise. Rakka is a very interesting slice of sci-fi for fans of the genre or Bloimkamp in general. We're definitely looking forward to more from Oats Studios on Steam. first seven minutes is about the New World Order. It goes from Islamic invasion to Global Warming scam, to Monsanto and Chem Trails...Whahaha Great! That third one was good story telling I think this would make a good scifi horror film. Would be risky to create a full budget so I understand the shorts. Better than the entirety of Falling Skies. Don't just watch Rakka support Oats Studio! Really They should focus on making Rakka into a full feature film like District 9. The could use Netflix backing if they need to.